20 Char, as the name suggests, is an all-day dining restaurant that offers exquisite blend of ethnic and international cuisines namely Chinese, Continental, North Indian, South Indian and Arabian. 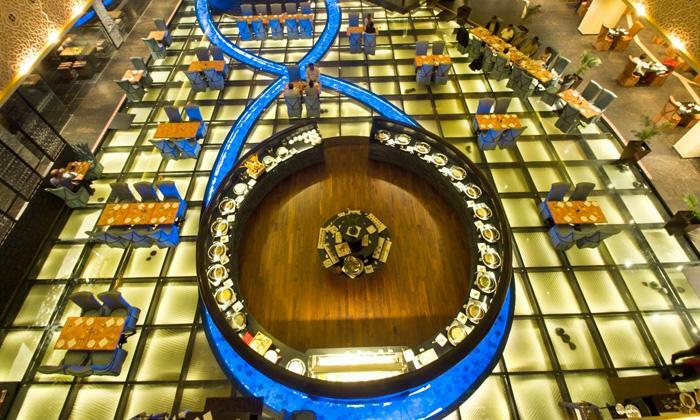 This elegantly styled restaurant lies on a customised Japanese glass flooring which makes the dining experience special because of the effects from the widespread lighting that brightens up the entire floor. This restaurant is perfect for a quick breakfast, long business lunches or even an intimate evening dinner. 20 Char serves some extensive buffets for lunch and dinner options.